Xcel Energy today named Brett Carter to the new role of Executive Vice President - Chief Customer and Innovation Officer effective in May. Carter will assume many of the responsibilities currently held by Marvin McDaniel, who will retire from the company effective June 1. Brett Carter, Executive Vice President - Chief Customer and Innovation Officer, Xcel Energy (Photo: Business Wire). "Brett brings a unique set of skills and experience to Xcel Energy that will help us deliver an outstanding experience for our customers," said Ben Fowke, Chairman, President and CEO of Xcel Energy. "His accomplishments in expanding use of new technologies and deploying innovative ways of connecting with customers will be valuable as we meet increasing customer expectations in a rapidly changing industry." Carter most recently held senior leadership roles with Bank of America where he oversaw key business areas of operations, technology and shared services. 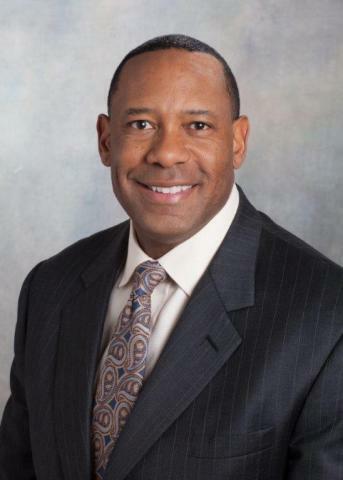 He previously held leadership roles in operations, marketing, and technology at several major utilities, including Duke Energy, UtiliCorp/Aquila, and Dominion. "I am excited to join Xcel Energy, which is known for its progressive approach and strong track record in providing clean and affordable energy," said Carter. "I look forward to building on that platform to even higher levels of excellence." Carter will oversee the key areas of marketing, customer service, information technology, and communications. Xcel Energy also announced that Alice Jackson has been named president of Xcel Energy - Colorado, effective May 7, 2018. Jackson brings a wealth of experience in managing government and stakeholder relations, as well as developing innovative products and services for customers. She assumes the role previously held by David Eves, who was recently promoted to lead the four Xcel Energy operating companies. "Alice is a great leader and is outstanding at building relationships with key stakeholders, which will serve her well in her new role," said Fowke. "I am confident that her skills and experience will ensure continued success as we engage with stakeholders to transition to an even cleaner energy future." About Xcel EnergyXcel Energy (NASDAQ:XEL) provides the energy that powers millions of homes and businesses across eight Western and Midwestern states. Headquartered in Minneapolis, the company is an industry leader in responsibly reducing carbon emissions and producing and delivering clean energy solutions from a variety of renewable sources at competitive prices. For more information, visit xcelenergy.com or follow us on Twitter and Facebook.